The Channel Futures MSP 501 opened for submissions Friday, kicking off the 12th year of the IT channel’s first, largest and most comprehensive survey and ranking of managed service providers (MSPs) worldwide. 2018 saw a record-breaking number of submissions as MSPs around the globe threw their hats in the ring to see how they stacked up against their peers. Applicants came from every geographic region in the world, represented two dozen different verticals, claimed a wide range of business models and ranged from one-person shops to enterprises with more than 4,000 employees. It was the MSP 501’s most diverse applicant pool in the survey’s history, but they all had one thing in common: They were proud to showcase their forward-thinking business acumen and the ability to anticipate and act upon trends in the fast-evolving IT channel market. 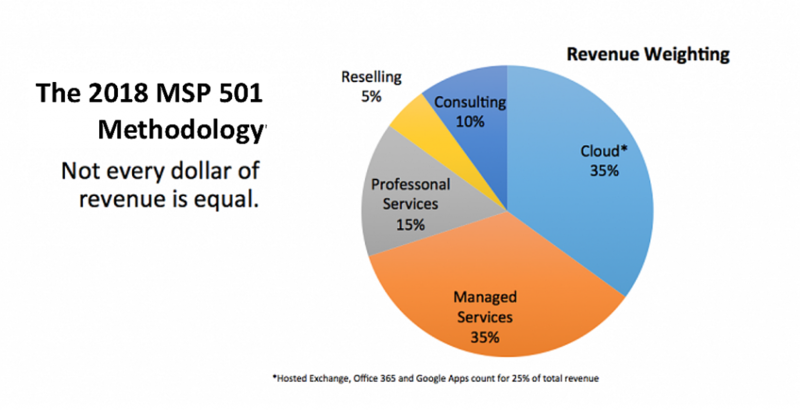 The MSP 501 uses a unique data analysis that recognizes not all revenue streams are created equally, weighting them according to how well the applicant’s business strategy anticipates trends in the fast-evolving channel ecosystem. Like last year, 2019 applicants will have the opportunity to apply for a range of special awards such as the Newcomer award, Lifetime Achievement award and MSP of the Year. Special award winners will be honored along with the entire 501 at an exclusive gala at Channel Partners Evolution, Sept. 9-12, in Washington, D.C.
As in previous years, applicants will be required to provide 2017 financial results and a revenue verification statement from a certified financial professional. This year, Channel Futures is providing one standardized form for applicants to use, simplifying the submission process. On March 5, join MSP 501 senior editor Kris Blackmon, 2019 MSP of the Year finalist Nancy Sabino and Eric Kohl of this year’s sponsor, Ingram Micro, for a live webcast discussing the managed services industry and details on show to apply. Register here to learn about the awards and see what our experts have to say about channel trends in 2019. Applications close on Friday, May 31, so get started today. Get ready to stand and be counted among the industries best and brightest managed service providers! Still curious about the survey? Check out the Channel Futures MSP 501 landing page, the 2018 report or last year’s rankings of the world’s top MSPs. For any questions about the survey, rankings or report, direct inquiries to MSP501@knect365.com.